1. Vanuatu means “Land Eternal. 4. The country grained independence from France and UK on July 30, 1980. Its government is Parliamentary Republic. 5. During World War II the U.S. launched attacks from here against Japanese troops in the Solomon Islands and New Guinea, inspiring James Michener’s Tales of the South Pacific. 6. The official languages are Bislama, English, French and more than 100 local languages.. Pidgin is one of the languages spoken on the islands. 7. 65% of the population depends on agriculture which includes copra, coconuts, coffee, cacao and fish. Off shore financial services and tourism constitutes the remainder of Vanuatu’s economy. Copra, beef, cacao, timber, kava. 8. Vanuatu’s natural resources include: manganese, hardwood forests, and fish. 9. Christianity is the main religion followed in Vanuatu. 10. 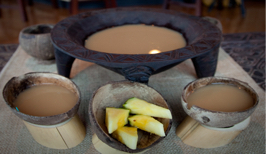 The traditional drink of Vanuatu is kava, which is made from the roots of piper methysticum. 13. Primary education is available for almost all children except in a few remote tribal areas. Education is provided in either English or French. 14. Full secondary education is provided by the Anglophone Malapoa College and the French Lycée at Port-Vila; limited secondary education is also available in five English post-primary schools and three French mission schools. 15. For postsecondary education, especially medical and technical training, selected students go principally to Fiji, Australia, and New Zealand. 1. Maths students are giant geeks. Now there are the students out there that would remind you of the Sheldon Coopers of the world, but for the most part maths students are just normal people who have a passion for numbers. Not all of them wear glasses; they all don’t carry a calculator everywhere and they also don’t insist on wearing white shirts and plaid. Mathematics is also easy to combine with another subject, including art, all sciences, a language or a subject like history. So not everyone is the super geek you think they will be. 2. If you do a mathematics degree you can only teach after you’ve graduated. This is a complete lie! Maths students are great problem-solvers, which means they can fit into any job in quite a lot of fields. Yes, you can teach or train to be an accountant, but you could also work for betting companies, running the program to calculate the live odds of the next footballer scoring in the big derby at the weekend. The possibilities are literally endless, so don’t be under the impression that you have to train to teach at the end of the three year degree. 3. All mathematics degrees are exactly the same, because numbers are just numbers. Every mathematics degree is different. Some will have more real world applications (such as modelling waves in the sea) and others will be stuffed to the brim with algebra; there’s literally a course out there for everyone, whether you really like Excel and statistics or you’re more interested in the applied engineering and game theory side of things. Oh, and numbers are just the tip of the iceberg: hexadecimal values, the Greek alphabet and most of the English alphabet are used too, it’s not just x and y anymore! 4. Only guys do mathematics degrees. According to The Guardian, 42% of all maths undergraduates in the UK in 2011-2012 were female. So while there still may be a fair few male mathematicians on your chosen course, there will also be a lot of female students equally as interested in all the number crunching and differential equations! 5. Maths students are amazing at mental maths. Some people just have that knack for working things out in their heads really quickly, but I don’t think you’ll be able to find many people, even maths students, who can tell you what 6432 ÷ 17 is off the top of their heads in under 10 seconds (it’s 378.353 for reference). Maths students are normal humans, who too rely on calculators for sums. They aren’t all wizards who can do the 27 times table from memory! 6. A mathematics degree is far too hard for me. If you have an interest in numbers, statistics, algebra or really enjoyed A-Level standard mathematics, then you shouldn’t be put off. No degree is a walk in the park, but everything you learn either teaches you new skills or builds on existing knowledge. Don’t be scared of a little bit of maths; it doesn’t bite after all! One of the questions we frequently hear from our international student applicants, who’re having their transcripts evaluated by us, is on the difference between the Bachelor of Arts (BA) and the Bachelor of Science (BS) degrees. Students entering a four-year college here in the US expect to graduate with a bachelor’s degree, but they might not know which type of bachelor’s degree to select. Colleges typically offer both BA and BS degrees for many of their majors, and you should expect different experiences based on which program you choose to pursue. With the right research and an understanding of each degree, you can combine your interest in a major with the selection of courses that best fit your needs. Before embarking on defining the differences between the BA and BS degrees, let’s look at the similarities they share. Both a B.A. and B.S. 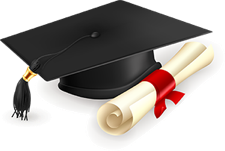 degree require the completion of a four- or five-year undergraduate curriculum, depending on the college and major. Both are considered equivalent bachelor’s degrees for academic purposes, and both require a number of courses in your chosen field to qualify you for the degree. Whether you choose a B.A. or B.S., your primary focus will be courses in your major. Though the B.A. is often thought of as a liberal arts degree, some universities offer B.S. programs in liberal arts, B.A. programs in technical or scientific fields, and other such variations, so your chosen path may not necessarily determine which degree you should pursue. How are the degrees different? The curriculum for the B.S. degree is generally focused on preparing the student for the technical and practical career aspects of their chosen field. The B.A. degree, on the other hand, offers some flexibility by allowing for electives and courses outside of the major. The B.A. also often requires core courses, such as foreign language or English classes, to ensure an expansive education regardless of the student’s focus. In essence, if you are looking for a more wide-ranging college experience, consider the B.A. ; if you want more concentrated training in a technical career path, the B.S. is better suited to meet your needs. What careers opportunities are best suited for the BA and BS? Both B.A. and B.S. degrees will assist students along whatever career path they choose, but the skills obtained from each can differ slightly. A student with a B.A. acquires communications and language skills, which can be a good fit for careers such as administration, education, editing, or marketing. A student with a B.S. degree will have received specialized training that can lead directly to work in fields such as engineering or other math and science-based professions. However, with either degree, you can choose to pursue higher education at the graduate level in a master’s or doctoral program. In summary, what are the biggest differences between the two degrees? The BS is more focused and concentrated in scientific and technical aspects of the field of specialty. It also provides little room for the student to explore other disciplines via the use of free electives. The BA is for students who want to have a broader curriculum and be less specialized. They take fewer courses in their area of specialty but have a stronger liberal arts education and can take more free electives which enables them have double majors, minors, and/or certificate programs in other disciplines. Yes! There are more than 3000 colleges and universities in the U.S. and the specific requirements and opportunities for the BA and BS degree programs vary among them. It is strongly advised that you check the college websites to find any unique differences between specific degrees before choosing which degree to pursue.